Another day, another half finished project! I had to take a break from painting. I now have the bed and the cabana waiting to be finished and I am suffering from paint fatigue. I can’t pick up another paint brush! Pity poor Big T who, having finished the shutters is soldiering on bravely through the window frames and anything painted brown. 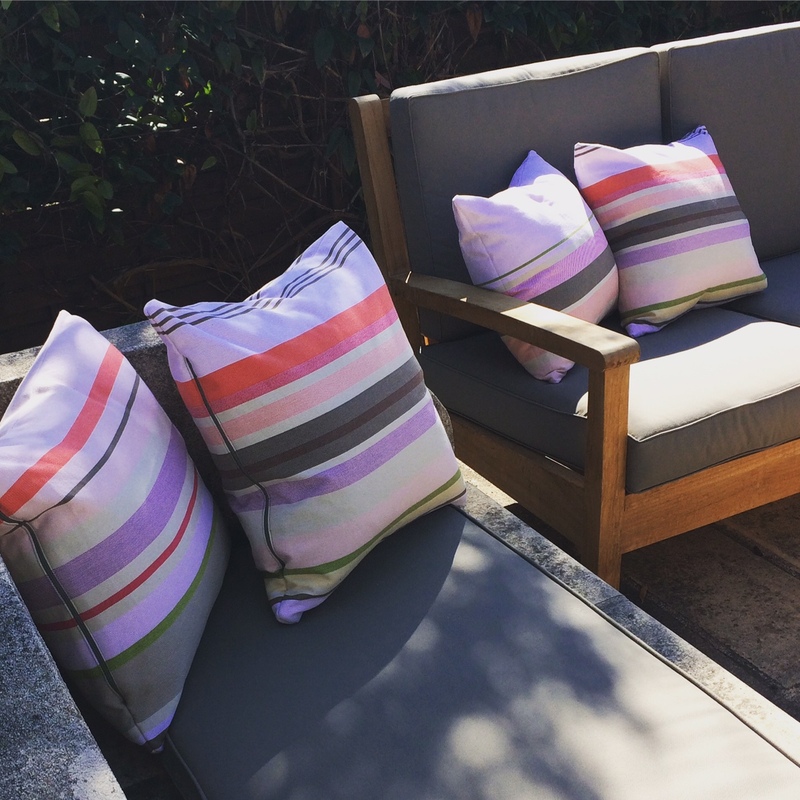 He’s a stronger man than I.
I decided to spend the day sewing the lovely striped French fabric I’d bought into outdoor cushions. It had been a while since I’d done any sewing and even longer since I’d sewn a zip so all things considered, they worked out pretty well. Of course I still have another two to go!